State of Illinois Invitational Marching Band Class B-C/D Champions: 1980, 1981, 1982. State of Illinois Invitational Marching Band Finalists: 1978, 1986, 1997, 2000, 2001, 2012, 2015. State of Illinois Invitational Marching Band Class 2A Champions: 2000, 2001. 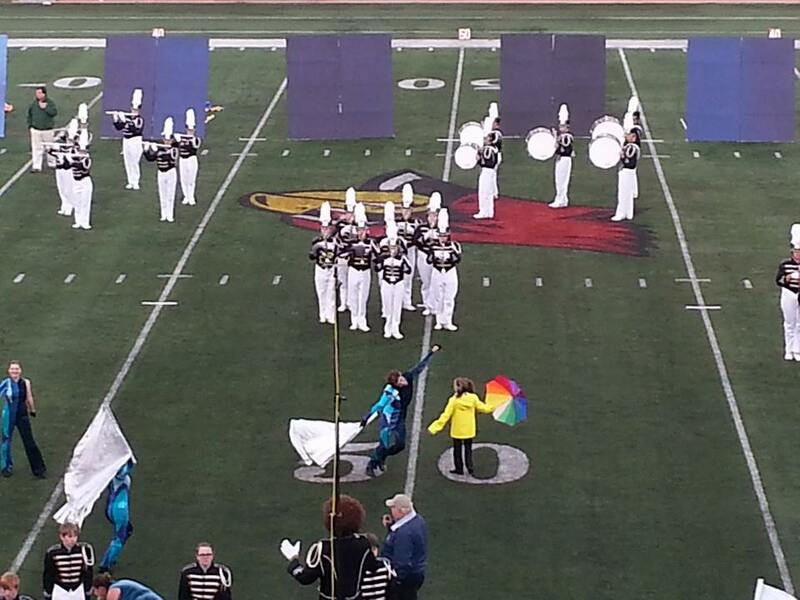 State of Illinois Invitational Marching Band Class 1A Champions: 2012, 2015. Marching Bands of America Grand National Finalist: 1977, 1978. Bands of America Indianapolis Regional Champions: 1982. The Herscher High School music department contains three main areas: band, choir, and orchestra. Herscher has won the IHSA class B State Music Sweepstakes consistently since 1976. This includes consecutively winning the title since 1986. Herscher is a 3 time Illinois State University Invitational Marching Band Championship winner, having won the title from 1980-1982. They are only one of four winners of the title. The department also sends students to the IMEA district and all-state festivals every year possible! Though the department has won many awards and accolades, it is the mindset of the instructors that the music learned and the process concerning that learning must be of the highest educational caliber possible. It is the process that is important. Goals come when strict adherence to ideals in rehearsals are achieved.